I am extremely biased, but I strongly believe wrestling is one of the toughest, most challenging, character building, and valuable activities that a person can participate in. Few other sports pit one competitor against another in an environment that requires as much mental preparation as full-body strength, endurance, and coordination. MMA may be one of the few exceptions. So many people go through life without actually setting goals. I mean, really setting goals: writing them down, reviewing them daily, working each day towards accomplishing them, etc. Maybe people don't know the proper way to set goals and don't realize that wishing for something to happen is completely different than dedicating oneself to achieving a goal. Wrestling, as with any athletic or complex endeavor, teaches you to set tangible goals and provides ample opportunity to assess your progress along the way. You want to win your next tournament? Great. What are you going to do today to give yourself a better chance? Before my senior year, I had set a goal to win the state tournament. While I never reached that achievement, I could look back on where I went wrong and learn and grow from my mistakes. I was able to make this analysis because I had defined a tangible goal and wrestling, with matches or tournaments once or twice per week, offered constant and nearly instantaneous feedback. Individual sports are great in this aspect. If you are the best player on a bad football team, it can be difficult to truly measure how you stack up against the competition. Not so in wrestling. You know very well and very quickly how your are progressing on your path to achieving your ultimate goal. This goal-setting habit spilled over to my every day life, where I still try to set tangible goals. Much writing has been done about how one's mind subconsciously focuses the body toward what the brain is thinking about. If you have set goals for yourself and you constantly remind yourself of those goals, with the intent on working each day to make progress toward achievement, then you're chances for success will increase dramatically. I wasn't aware of the psychology behind the theory at the time, but I knew enough to recognize that without a set goal, my chances of winning each match would diminish. I still try to put my ultimate goals at the forefront of my thoughts each morning. Wrestling offers a valuable and unique lesson into discipline. To excel in any athletic endeavor, hard work can not be avoided. However, with most sports, that discipline ends in the weight room, the practice field, and the film room. You are able to escape mentally in between practices and let your mind relax and recover. In wrestling, however, one is constantly reminded of what he chose to put his body through from the incessant hunger pangs. Whether you agree with it or not, cutting weight is a part of the sport. Wrestlers drop as much body weight as possible so they can compete in a lower weight division - not simply to be the bigger competitor in a weight class, but more so they are not overmatched at their natural weight by wrestlers with the same mentality. Again, this type of discipline affects wrestlers long after their days of mat burn and ringworm are over. We learn sacrifice and mental toughness, developing the ability to block out distractions to maintain focus on the task at hand. Hard work pays off in all aspects of life. However, it is much more prevalent in individual sports than in most aspects of life. It's you and only you who determines the outcome of the match. If you put in the work, you will revel in the competition. If, in the back of your mind, you know that you could have done more, then you have left more room for uncertainty. It's not that if you work hard you can completely eliminate the uncertainty, but you can certainly minimize it. In wrestling, any slack days, missed workouts, cutting lifts short, taking sets off, etc., will give a well prepared opponent an opportunity to pounce. 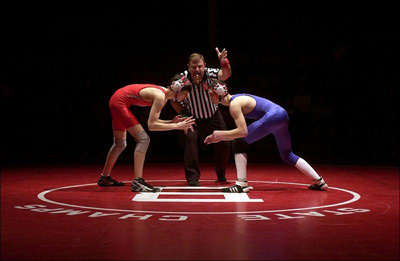 Once you are a couple of rounds within the state tournament, every opponent is a capable opponent. Especially at the college level, the gap between the good and the average is minimal. The difference lies in the preparation. If you put in more time in the weight room, more time studying film, more time eating right and taking care of your body, more time on additional drills before or after practice, you may not be guaranteed a victory, but your chances are exponentially improved. You never know how your opponent is preparing, but you do know the more preparation you put in, the less chance you are being outworked. In my junior year in the first round of state finals, I was matched up against a sophomore who sported a great record against some of the best competition in the state. Right out of the box, he ankle picked me for a takedown that I never saw coming. I was never a great technical wrestler, but I rarely met an opponent who outworked me. 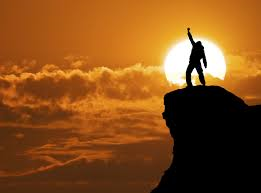 I prided myself on my endurance and strength - which gave me the ability to wear him down, comeback, and win the match. By the end of the match, he was gassed, as was I, but the conditioning work I had put in over the years pushed me to prevail. Oftentimes, we find ourselves in life situations where an event or opportunity sneaks up on us. Maybe a job unexpectedly becomes available or maybe the CEO abruptly walks in and requests an immediate breakdown of how a project is going. Those who have conditioned their minds to continually seek improvement will create a larger separation between them and the also-rans. They won't need to scramble to escape a tough situation but, in fact, may be able to exploit the opportunity. Wrestling taught me that you can not predict everything that you will encounter in a lifetime, but with proper preparation, you can make the most of any situation. In wrestling, doubt exists in the mind as a void that can be filled with uncertainty. It allows the thought of failure to creep in. I had set a goal throughout my high school career to never lose to an underclassman. There's no excuse for that happening. I had had at least another year of experience at this level, which should allow me to prevail against a younger opponent. While I did accomplish this goal, I had failed to win the state tournament and I finished my senior year with two losses - one to the state champ and one to the state runner-up. Looking back, I didn't deserve to win those matches. I had let doubt creep in, letting my brain make excuses like, "they've been wrestling since they could walk and you've only been doing it since 7th grade, so you're expected to lose." I tried to block out that thinking, but once it finds its way into the mind, you're in trouble. And it wasn't just me. I had a college teammate who had all of the talent in the world. He had won two state championships in one of the tougher known wrestling states. In college, he was able to reach All-American status three times, placing in the top three at the national championships each time. Successful career, huh? Sure, but to someone so close to being a national champion, it never really sits well. Now, it didn't surprise me much that he never got over that hump. He would constantly slack in the weight room and was sidelined by academic issues - a sure distraction from his task at hand. Do you think his opponents on the national level were ill conditioned or sidetracked? Doubtful. Mental toughness ties in with preparation. The more prepared you are, the more mentally tough you'll be - and it will show at crunch time. You'll begin to eliminate doubt and replace it with the knowledge that no one has worked harder than you, therefore, no one deserves it more than you. That's another lesson that applies to every day life. High self esteem is an unavoidable byproduct of wrestling. As counter-intuitive as it may seem, even the grappler who rarely wins a bout will walk away from a wrestling career as a more confident person. After a loss, when your pride is shot, it takes just as much courage - and probably more - to pick yourself up, shake it off, and go back out for another match. I remember losing one match in a junior varsity tournament to a wrestler from my own school - the guy that was behind me on the depth chart! - whom I had never lost a match to. I was caught in a headlock and pinned. I thought my life had ended. I was never a good loser, but that one was especially tough. Later, you can look back on analyze your mistakes. You realize your world didn't come to an end and instead of sulking about an embarrassing loss, you realize that you can learn a lot from a situation like that. If you've never done it, you'll never understand the courage it takes to put yourself out there - skin tight singlet and all - one on one against an opponent who has all intent on destroying you. At one of our matches against an opponent in our conference, the gym lights would be turned off and only a single light would shine above the varsity match. At semi-state, the same would occur, with the announcer rattling off the accolades of both opponents. The entire gym is quiet with the spectators' eyes set on you. There is no team or coach or excuse to hide behind. You don't have a choice at that point. But, you learn to live with it, and then, you learn to relish it. Situations like these made me unafraid to put myself out there in the real world. Hey, if I can wear next-to-nothing in a test of strength and skill, with a good possibility that I may humiliate myself against another man in front of thousands of people, there really isn't much to be afraid of by volunteering to take on a project that might be beyond my current capabilities or applying for a job that I'm not quite qualified for. Wrestling provides a stage to pit your abilities against an equal weighted opponent. Sure, it's only a sport, but it's a sport that requires much more than participation. It's a sport that teaches invaluable lessons on goal setting, preparation, discipline, mental toughness, and self confidence, that can be applied throughout life. Just as there has never been an undefeated wrestler, we all make mistakes in life. However, wrestling provides and develops the proper tools to navigate life's obstacles and come out on top.